Does anyone else need a little something different to vape? All of the new vape juices coming out seem to be a bit boring. Thankfully this sample pack is going to come out and introduce you to a couple of different salt e liquids that are going to be delicious. 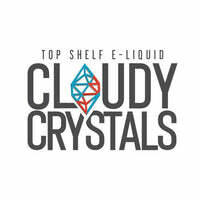 This sample pack is being brought to us by Cloudy Crystals Top Shelf Salt E Liquid. You will be able to taste all of the eight salt e liquids in their line up, which will most likely show you a good time. Each of the flavors is going to come in 10ml bottles that will bring you to a total of 80ml of salt e liquid for you to enjoy. At the affordable price of $19.99, you will have this sample pack in no time.